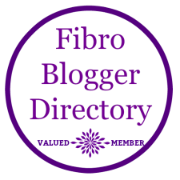 One thing I’ve learned to be aware of – sometimes the hard way – on the fibromyalgia journey is the full implication of anything I take as so-called medication. Long gone are the days of taking whatever the doctor throws at me without question and I seldom even go to see mine, preferring to treat just about everything my own way or, certainly, the most natural way available. Doctors neither understand all the ins-and-outs of fibromyalgia nor do they (sadly) seem to care, most of the time, that you react to things differently or more extremely than others might do – though I tend to think the ‘extreme’ reaction of someone with fibromyalgia is just the thick edge of the wedge of the kind of underlying reaction that everyone else is having to a lot of prescription medicine and, perhaps, not noticing! I’m not talking about headache pills here – although I, long ago, stopped taking anything that comes under that description and almost entirely avoid taking prescribed medication at all, except in dire emergency. One thing in particular that can be dangerous territory is the all-too-ordinary antibiotic yet this ‘comforting’, everyday hand-me-out of the doctors surgery can come with a price. Here’s an anecdote that I feel is worth sharing. I had managed to avoid taking antibiotics for years when a severe UTI cropped up, last summer, that apparently wasn’t shifting any other way so I went to see my doctor and was prescribed a several-day course of Nitrofurantoin, which I started taking in appropriately spaced doses over the course of a day. That night was an unforgettable one for me – now branded in my mind as an extreme fear of antibiotics in general – because I woke an hour into my night feeling like I was going to die. I couldn’t catch my breath, felt like I was losing consciousness or being sucked down a black hole, had extreme shaking, dizziness, nausea and diarrhea and an array of extreme electrical symptoms that felt like I had been plugged into the mains including nerves that popped and twitched spontaneously in my arms and legs and tingling numbness to my extremities. Fortunately my husband was on hand and helped me to handle the extreme overwhelm symptoms much like I would a panic attack, breathing my way deeply to some sort of stability. However, the neuropathic symptoms – the pops, twitches and shakes, numbness and electric stabbing pains to legs, feet, hands, face – took well over two months to subside. In the light of morning, I read the leaflet to discover some of these symptoms listed under the ‘rare’ reactions section but further delving unearthed a whole load of material connecting this drug with fibromyalgia – both with an advisory that it was not suitable for anyone with this or any other pre-existing condition causing neuropathic symptoms (including diabetes) – and also forums of people claiming that their fibromyagia, or months / years of extreme neuropathic symptoms, first started when they took this drug. All you have to do is type “nitrofurantoin nerve damage” into Google to unearth plenty of information out there, including a huge amount of references to temporary, slow-recovering or possible irreversible nerve damage. The reason this popped back into my mind was that a friend just emailed to thank me because my story – and this brand name – had, fortunately, stuck in her mind enough to alert her when her doctor prescribed Nitrofurantoin for a UTI yesterday. She shares a very similar health history to mine as well as having diabetes and peripheral neuropathy so it is quite baffling how a GP could miss the small print and hand this drug out so carelessly (as they did to me) but it seems to be common practice. It shows that it pays to be aware and to take responsibility for what you take into your own body as nobody really cares about the consequences as much as you do. I was fortunate in that my neuropathy settled down to relatively normal after three months, though whenever the episodes that I have are more severe than they used to be prior to last summer (which they often are), I can’t help wondering whether this drug contributed to any long-term damage. For the record, I then treated my UTI the natural way by visiting a medical herbalist and without any further antibiotics. Not all antibiotics are the same and some are life-savers but, really, we need to make ourselves more aware of when they are the most appropriate course of action, of the small-print risks of taking them and of any trade-off that might be involved as we ‘solve’ one issue only to trigger a whole lot of others. Having just had the very positive outcome of sharing this story with one friend relayed back to me, it occurs to me that I really should share the anecdote here in case it is able to help others to avoid going through what I did or a far more serious set-back.